It might still be warm during the day, but when the sun starts to dip, you’ll want something extra to throw on before heading out the door. Transitional layers are easy to pull off, and learning how to layer properly will take you smoothly from summer to fall. In this guide, we’ll help you understand the best light layering pieces and how to pair them with what’s already in your closet to keep you looking polished as the seasons change. Layering isn’t hard, but there are a few simple rules to follow so you don’t end up looking mismatched. Keep it simple, stick to tones and materials that work well together and make sure that each layer (T-shirt, sweater, jacket) looks good on its own, too. Lightweight jackets are essential for fall layering, and having a range of them in your closet ensures that you’ll be prepared for changing temps. 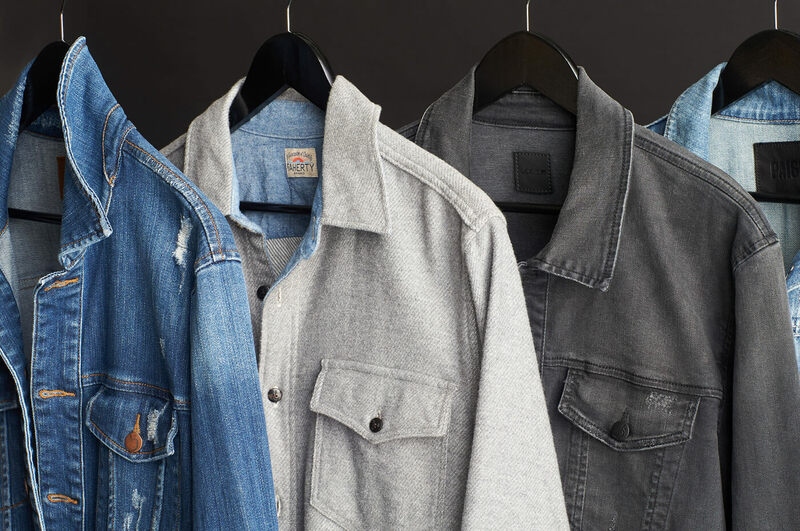 Sticking to classics—from denim to fleece—is the key to versatility, and you’ll be able to mix and match with the rest of your wardrobe for different looks. Layering also adds depth and can instantly transform an otherwise simple outfit. Here are the five lightweight layering pieces every guy should have in his closet, plus tips on how to wear them for every occasion—from work to a night out. What is a jean jacket? This versatile closet essential is a fail-safe piece that’s always in style. 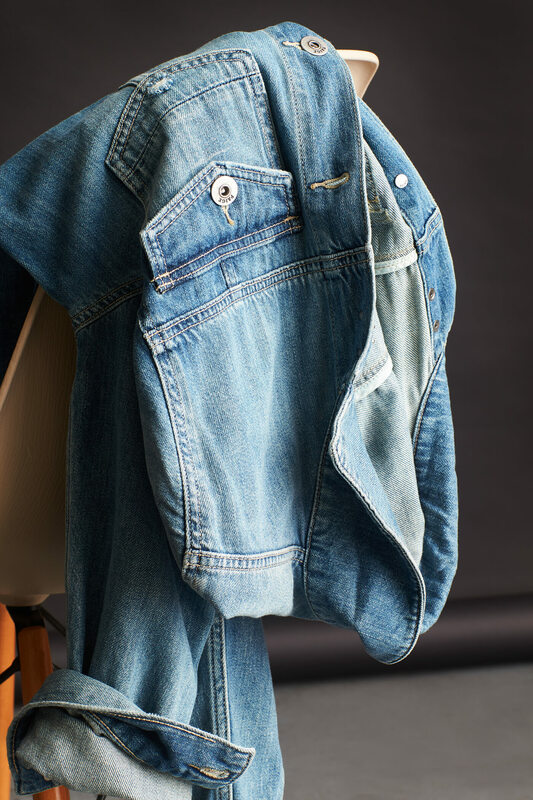 Short, button-up denim jackets are the perfect casual outer layer for summer and fall—adding texture and color to any look. Stylist tip: Wear lighter-colored denim for daytime outings and darker hues for evening events. Now a classic outerwear piece that every guy should have in his closet, the bomber jacket traces its roots to uniform jackets designed for military pilots in World War II. Featuring a zipped front, elastic waists and cuffs, and low-profile collar, it’s a versatile lightweight layer that can be worn almost year-round. 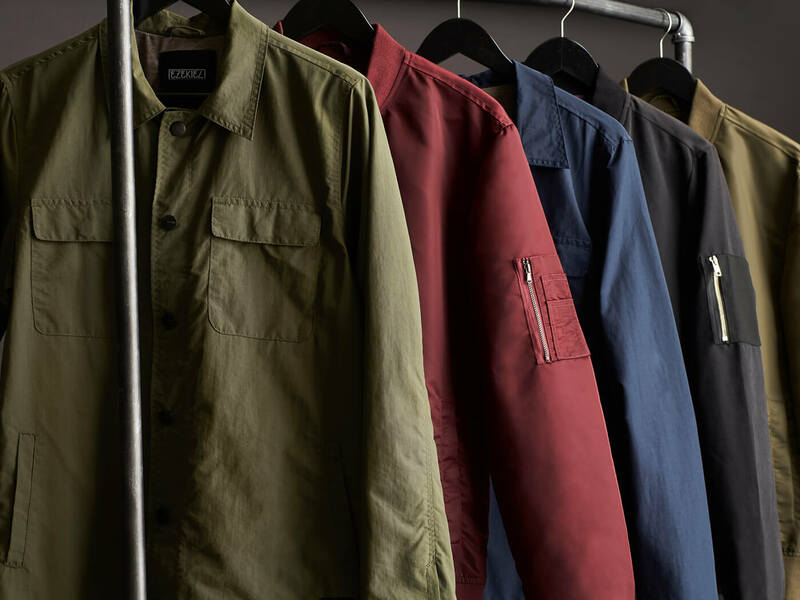 Materials range from nylon to cotton to suede, and the jacket works on most body types. Stylist tip: Choose a bomber that fits close to the body, with shoulder seams that sit properly (as they would for a blazer or suit jacket). The length should stop right around the waist—any longer and you risk looking sloppy. 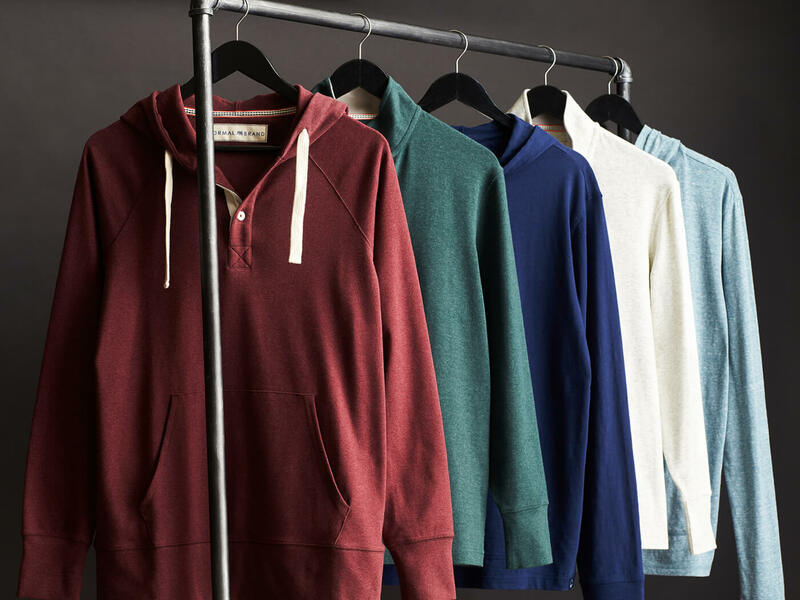 This go-to menswear staple includes hoodies, sweatshirts and zip-ups that are warm and soft to the touch. They’re typically made from synthetics or natural sheep’s wool. 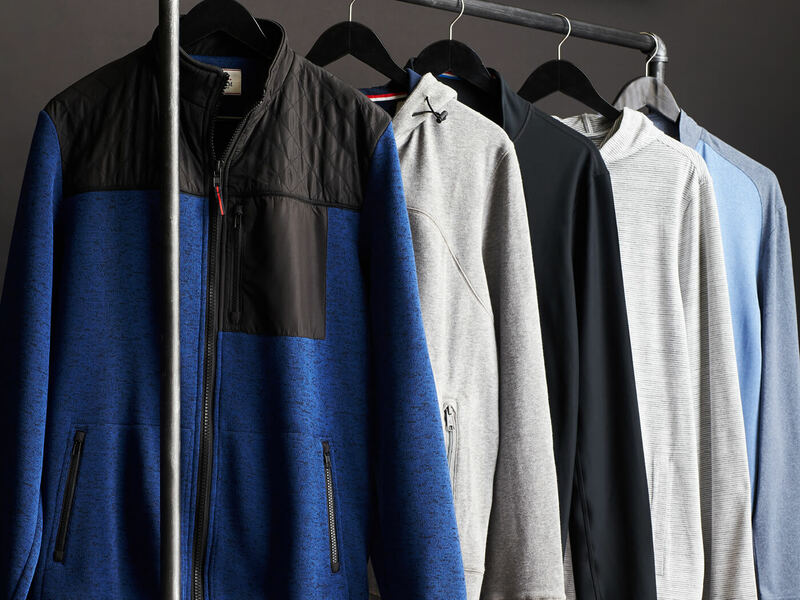 Since fleece jackets work well as both a middle layer and outerwear, every guy should have a handful in his closet. Stylist tip: Choose neutral solid colors and minimal branding for the most versatile look that’s more polished, less tech bro. What is a shirt jacket? Just as the name implies, the shirt jacket (aka shacket) is a mix between a shirt and a jacket. It’s heavier than a typical shirt, and the fit is slim rather than bulky. Materials range from heavy cotton to flannel to wool. Shirt jackets often feature front pockets and snap closures. Stylist tip: If wearing your shacket closed, leave the first few snaps undone to reveal layers underneath. Wear a shirt jacket as a transitional fall layer or under a heavier coat once temps begin to drop. What is a performance jacket? Think of performance jackets like activewear for outdoorsy types—basically, anything you would find at shops like REI. They include everything from nylon zip-ups, knit pullovers and moisture-wicking base layers to fleece vests and quilted jackets. They’re perfect for workouts and outdoor activities but also great for casual days when comfort is key. Stylist tip: White sneakers are a great way to keep your outfit casual without feeling too sporty, and they will make your look flow. Are you ready to start layering? Schedule a Fix and ask your Stylist for lightweight jackets that fit your look.